Caribbean wreck diving is always a fun and exciting activity on your Caribbean dive vacation. Scuba wreck diving adds to the adventure and mystery that comes along with ship wrecks resting on the ocean floor. Caribbean wrecks are usually sunk to add to or enhance the coral reefs of the island. This added dive attraction contributes to eco-tourism efforts by taking pressure off of existing nearby reefs. 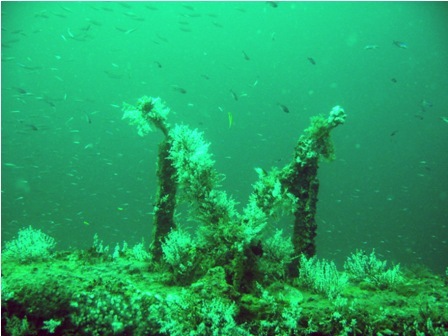 The ship wrecks stimulate new coral growth and create new habitats for ocean life. These Caribbean wrecks also become home to hundreds of marine life allowing divers to explore, swim through and get breathtaking wreck videos and shipwreck photos. This ship wreck, is an essential Tobago dive site. 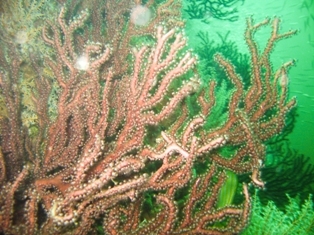 It can be found at a depth of 15 - 30 metres. While it was still in operation, this ferry was known as the "Scarlett Ibis". When it was finally sunk in 1997 as a scuba diving attraction, it was renamed the M.S. Maverick. This ship is 70 metres long and sits upright on a sandy sea bed at a maximum depth of 30 metres. Today she is now covered in deep sea fans, hydroids, with inhabitants such as juvenile high hat drums, sea cucumbers, banded coral shrimp and many bi-valves! We entered the belly of the ship through a space in the deck floor. We exited at the stern just in time to see a school of bar jacks circling above the ship. I would love to revisit the M.S. Maverick someday to get some more underwater wreck photos and wreck videos.